Nenè La Scalinata Apartments in located in main Bellagio centre with 2 apartments: 3rd floor Apartment and 1st floor Apartment. Both are located on a characteristic stair in Bellagio old town. Lots of typical restaurants coffee, pastries, wine bars, art galleries, souvenir shops, boutiques, and any kind of services are few meters away from our facility. Boats, buses and taxis stops are within walking distance. 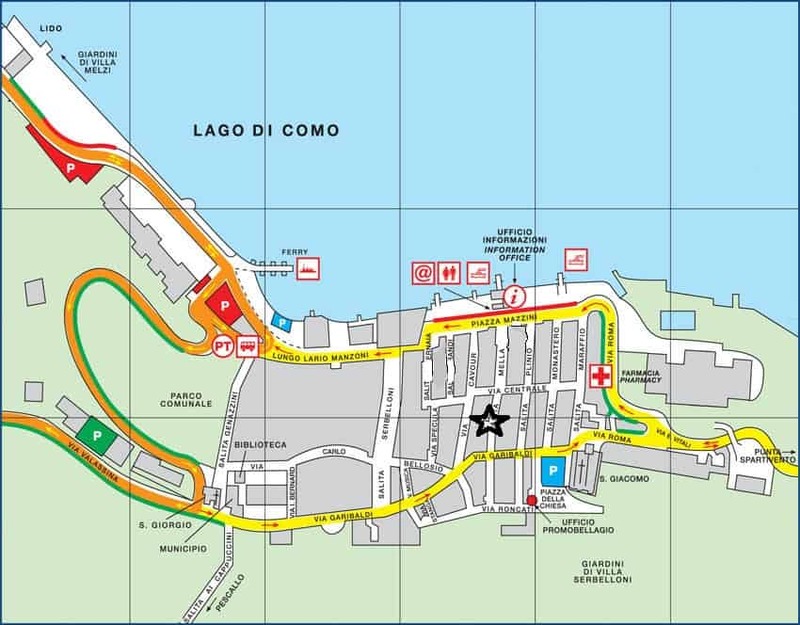 During summer Bellagio centre is a limited traffic zone (ZTL) with access permitted to the guests prior authorization. Free parkings at 300 meters and paying at 100 to 500 meters. Stylish self-catering apartments, open all year around. Custom craftworks furniture and all modern comforts: wooden floor, autonomous heating, air conditioning, wi-fi, satellite TV, safe, refrigerator, oven, dishwasher, hair dryer…..bed linen and towels are included.